I’m sure you’ll agree with me when I say that many people dream of one day becoming an author and publishing a book. If so, you may already have a topic in mind or you may have even started writing a piece. For most people interested in a career as an author, the possibility seems out of reach. You might be surprised to learn that it doesn’t. Becoming an author and enjoying the benefits that come with the title is easier than most expect. It really just comes down to overcoming a few obstacles. 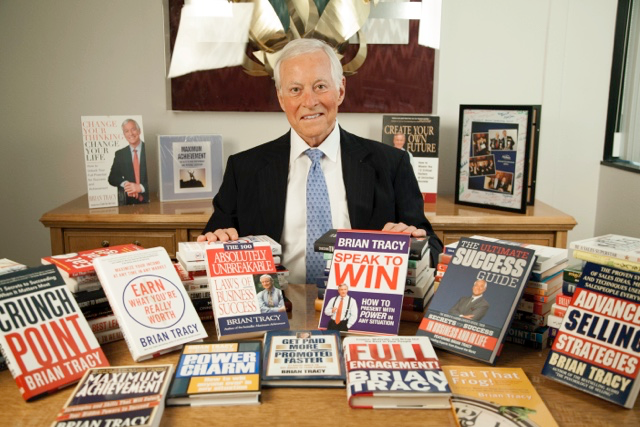 Brian Tracy is the published author of over 80 books. One of the main obstacles people who want to become an author face involves simply knowing how to get started. This guide will break down the steps you need to follow in order to become a published author. How Do I Get Started as an Author? Getting started is the hardest part for many potential authors. When you have never published a book, it can be difficult to know what the first step should be. Below are some tips to help you get your career as an author moving. Although you don’t necessarily need a formal education to become an author, you do need to have certain skills in order to be successful. Before you attempt to write or publish your first book, you need to make sure these skills are in place. To build these skills, you may choose to enroll in a formal training program, like my How to Write a Book and Become a Published Author program, or simply practice on your own. One of the best things you can do to learn about becoming an author and to help yourself as you get started is to get to know other people who are already working in the field. Get involved in a community of authors locally and/or online. Not only can these individuals provide you with support, but they can also give you guidance and advice as you work toward publishing your first book. Before attempting to publish your first book, it is a good idea to practice your craft with some shorter works, such as short stories or newspaper articles. If possible, try to have these writings published. If you are able to convince publishers to work with you on smaller projects, you can be reasonably sure that you have the resources and skills to publish a book eventually. What Kind of Education is Required to Be an Author? Anyone can become an author with or without a formal education. However, a certain amount of knowledge and skills is required. Although some people may be able to write a book without going to college or participating in any kind of formal training, others will need an education before they will be able to be successful in a career as an author. If you want to obtain a college education before becoming an author, it is best to get a bachelor’s degree. Any degree in liberal arts can be helpful. However, degrees in English, journalism or communications may be most helpful. If you’re not interested in going back to school, take a look at my book writing program that will help you become a published author. Becoming a writer is somewhat different than becoming an author. While an author is someone who publishes their own works based on their own ideas and desires, a writer is more service-oriented. Writers often create works based on instructions provided by a client. Beginning a career as a writer is similar to beginning a career as an author. Before you start taking jobs, you need to make sure you have the right skills. For most people, this will mean having a good grasp of the English language, a solid knowledge base relating to one or more specific topics and the ability to do research effectively. Practicing your craft will also help you prepare for a career as a writer. What Skills Does a Writer Need? A writer needs to be able to communicate effectively with a variety of audiences. Audiences may vary according to their gender, age, education level and other characteristics. Writers should have excellent spelling, grammar, and vocabulary skills so that they can create articles, blogs and other works with minimal editing needed. Although writers are often creating their works based on the instructions provided by someone else, creativity is still an important skill. Writers are not always able to work on projects that interest them. Writers need to be able to focus on their work even when they are not enthusiastic about the topic. In some cases, writers may need to supplement their knowledge with research. Being able to conduct research effectively online or in the library is an important skill for any writer. I Want to Become a Writer. Where Do I Start? If you do not already have the skills you need, the first thing you should do is find a way to develop these skills. This may involve participating in workshops or even enrolling in college. If you already have training but you feel like you need to improve your skills more, you can practice writing on your own time before looking for a job. Once you are ready to begin writing professionally, you will need to look for clients. You can try to find private clients on your own, or you can look for a third-party company that connects writers with clients. Once you have found some clients, you can begin writing professionally. While you are still looking for specific clients who will commission work from you, you may also be able to make money as a writer by creating your own works and marketing them to clients. Once you have written a book, you are an author. However, in order to become a published author, you must be able to publish a book. Publishing a book is not easy, but you can accomplish this goal if you take the right steps. When publishing a book, you have two main options: self-publishing and traditional publishing. Traditional publishing is the most common method used. With traditional publishing, a publisher offers you a contract. This contract provides the publisher with the right to sell your book through specific retailers. It will also outline the amount of royalties you will make when your book sells. Self-publishing comes in a few different formats. However, regardless of the type of self-publishing you choose, you will be required to pay all of the expenses related to the publishing of your book. If you choose to publish the book entirely on your own, you will be responsible for paying all of the expenses related to the production, marketing, distribution and storage of your book. You can also choose to work with a subsidy publisher, a vanity publisher or a print-on-demand publisher. These publishers help with the process of publishing your book in exchange for payment and/or rights to the finished work. Before you can get a book published, you must first decide what type of publishing you want to pursue. If you are going to self-publish your book, you simply need to have enough money in order to get started. If you are going to try to work with a publisher, however, you will need to convince the publisher that your book is a good investment. This means that you will have to submit a draft of the book to the publisher for review. The publisher will then decide whether or not to publish your book. In some cases, the publisher may request revisions before publishing. In other cases, the publisher may accept the book as is or reject it altogether. How Hard Is it to Become a Published Author? Becoming a published author is not necessarily easy, and it may take time. If you are going to publish the book on your own, you will need to raise enough money to handle all of the associated expenses, which can be difficult. On the other hand, if you are going to work with a publisher, you will need to create a book the publisher likes and convince them that it is a worthwhile endeavor. Depending on the publisher’s standards, this can be a long and arduous task as well. However, if you are persistent and you put forth your best effort, you will find success eventually. How Much Do Authors Make in a Year? The amount of money an author can earn in any given year varies considerably. While some authors may barely make ends meet, others earn millions and live very comfortable lives. Most authors fall somewhere in the middle of this range. 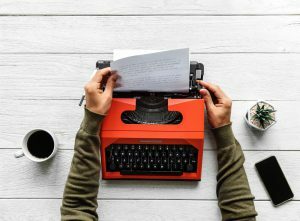 According to the most recent report released by the Bureau of Labor Statistics, the median pay for authors and writers is approximately $61,820 per year, which translates to a little more than $29 an hour. The lowest earning 10% of writers earned less than $30,520 per year, while the highest-earning 10% of authors earned more than $118,760 per year. Some of the most well-known authors earn much higher wages. Becoming a published author is likely to raise your salary considerably. However, it is difficult to say how much you will earn. Publishing more books that sell successfully will likely increase your salary as a published author. The success of your book determines how many copies sell and, thus, how much money you earn. The more successful your book is, the higher your salary will be. The price of the books you sell will have an effect on your salary as well. Higher priced books generally yield more profits per book. However, if your book is priced too high, it may discourage readers from making a purchase. Finding the right price point for each book you publish will maximize your salary. If you have published the book entirely on your own, any profits will go directly to you. However, if you published your book with the help of a traditional publisher or another type of publisher that requires you to turn over some rights to the book, you will earn only a percentage of the profits. The percentage of profits you earn will affect your salary considerably. Make sure your book is ready. Decide if you want to self-publish or publish traditionally. Before you begin the process of publishing a book, you need to know that the material you have is ready for publishing. This means you will need to review and edit the book carefully to make sure it meets the highest standards. You may also want to have other people review the book before you submit it. The next step to publishing your book is to decide how you want to publish. If you want to self-publish, you will need to come up with the funds. If you want to work with a publisher, you will need to prepare your book to be pitched to different companies. Whether you plan to self-publish or work with a publisher, you will likely need assistance. For example, if you are self-publishing, you may need to find a company to print your book. If you are planning to work with a publisher, you will need to identify the publishing companies that are most likely to accept your book. How Much Money Does it Take to Publish a Book? The amount of money required to publish a book varies considerably. For example, if a traditional publisher agrees to accept your book, you won’t pay the expenses associated with manufacturing, distribution, and warehousing, so your costs will be minimal. However, if you choose to self-publish, you may spend a few hundred dollars publishing your book in upfront costs. Are you ready to become a published author? If you’re ready to learn more, click the link below to learn more about my complete writing and publishing solution, How to Write a Book and Become a Published Author.